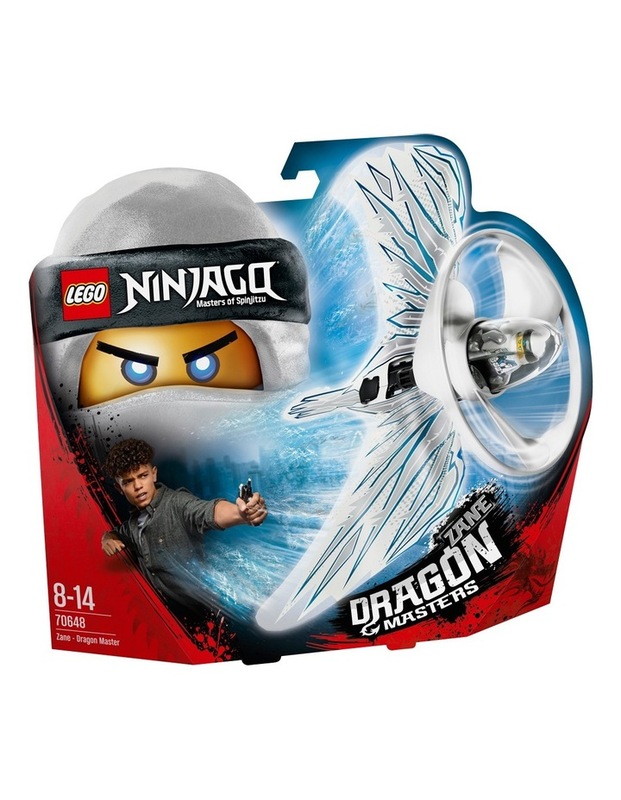 Ninjago Zane - Dragon Master. 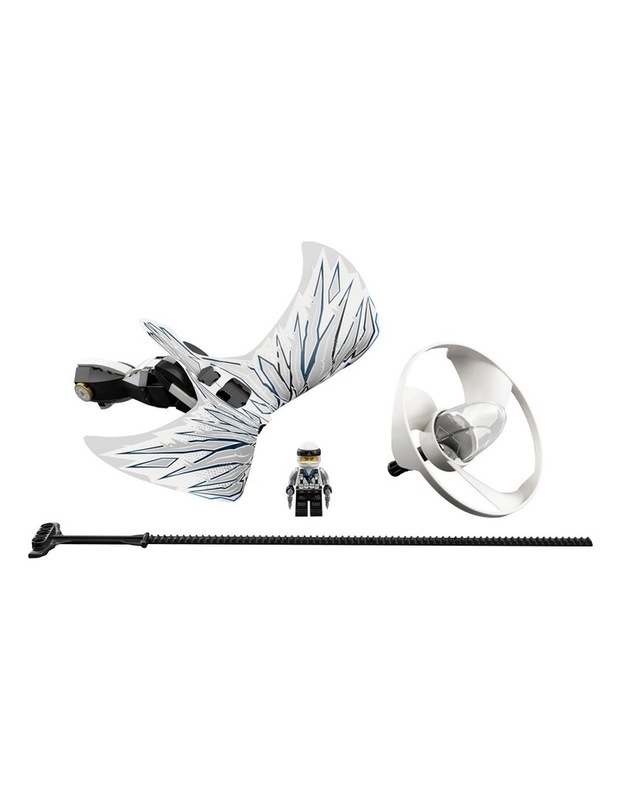 Soar to ninja glory with the LEGO NINJAGO 70648 Zane - Dragon Master flyer! Start your training by building the LEGO brick handle. Place Zane in the capsule, attach the blade and dragon wings, then pull the rip cord. Perform crazy tricks like The Dragon Nest and compete against your friends in challenges such as The Dragon Switch. Have you got the skills to become a true Dragon Master? Age: 8-14; 92 Pieces. Style No. 70648.